I set out yesterday morning with 32 other Club members on our annual Christmas Bus Meet. 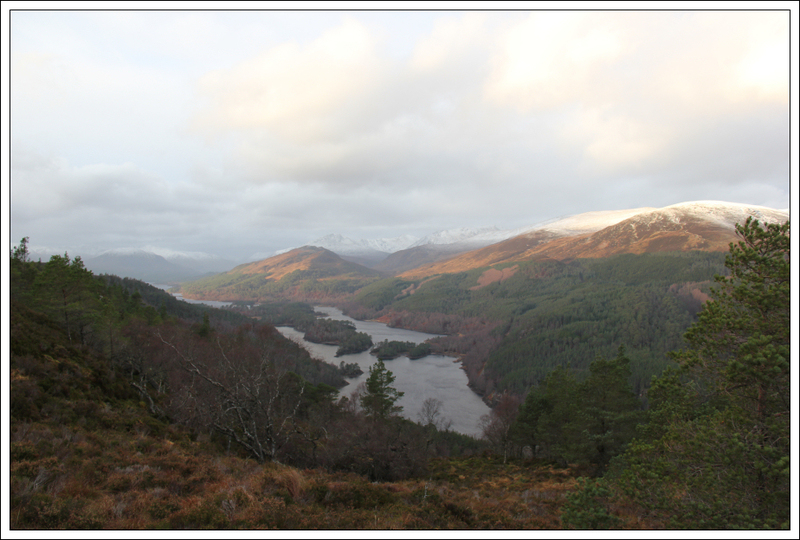 This year our walk destination was Glen Affric with a meal thereafter at the Priory Hotel, Beauly. 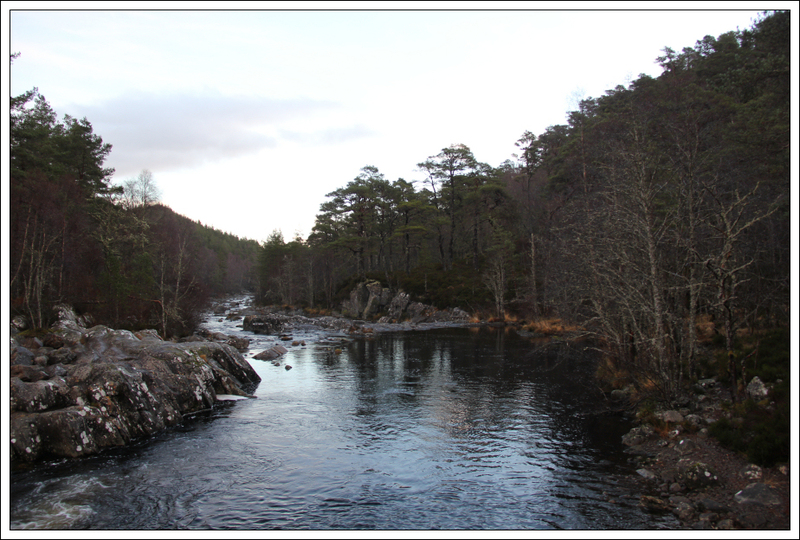 After picking up members in Elgin, Forres, Nairn, Inverness and Beauly, we made our way down the A831 and then along the minor road to reach Glen Affric. Prior to heading to Glen Affric there was some discussion on the bus around potentially changing the meet location owing to alleged 120mph gusts forecasted by MWIS. Thankfully we agreed to stick with our plan as the MWIS forecast was very pessimistic. The strongest gusts we encountered were possibly 40-50mph at most. 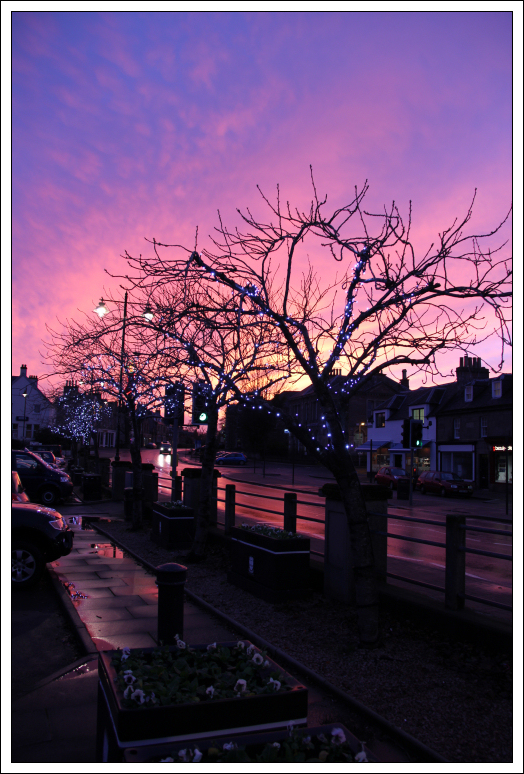 The incessant rain was worse than the wind. 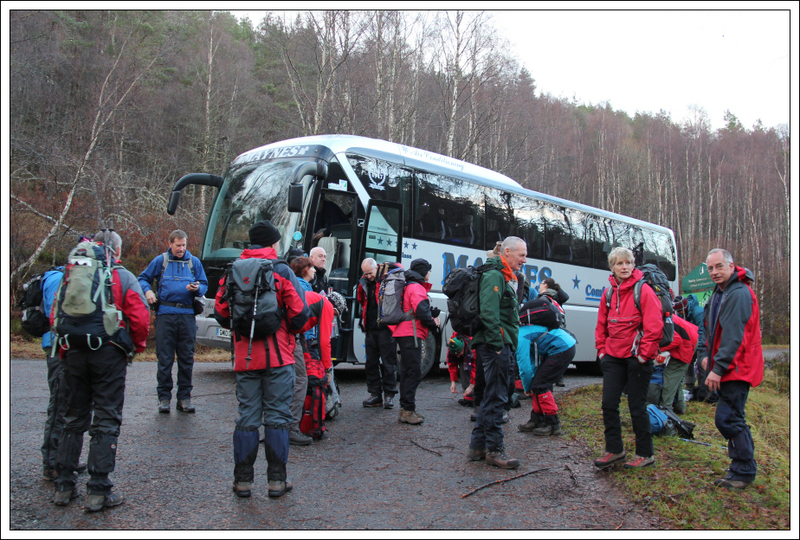 On arrival at the Dog Falls car park, the majority of members disembarked to undertake a low-level walk. 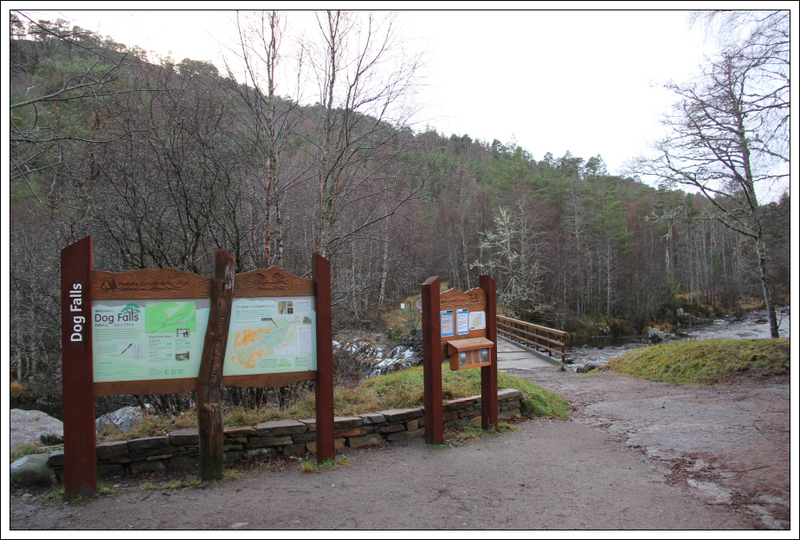 I ventured down to the bridge over the River Affric and took a few photos whilst waiting for other members. 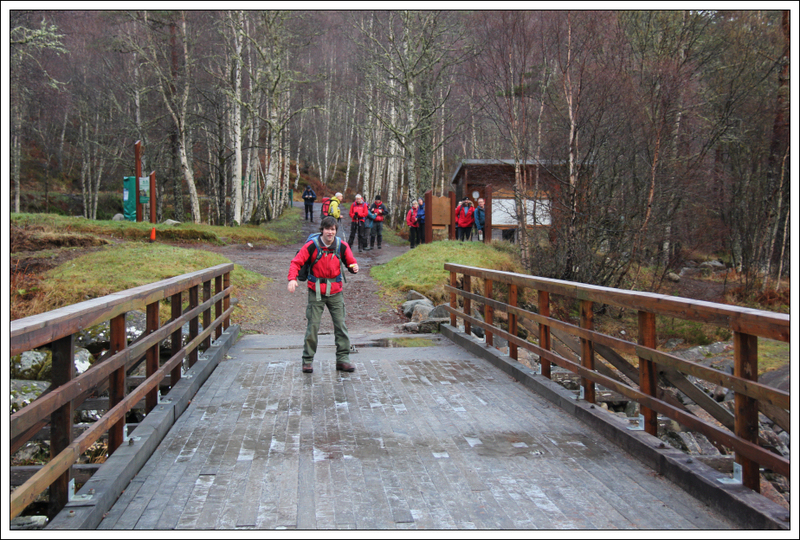 The crossing of the bridge was interesting and good fun. Joe definitely crossed with the most artistic flair. All crossed safely without incident . 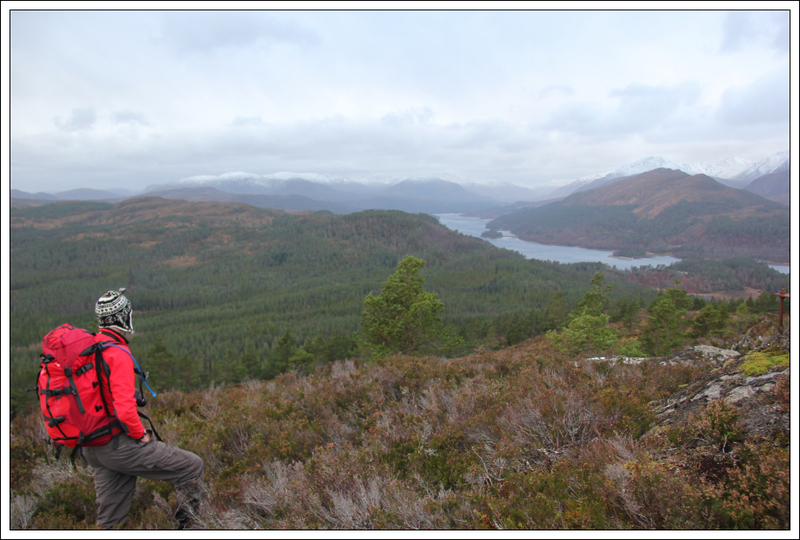 On reaching the track highpoint I visited the viewpoint. A short distance further along the track Dan, Graeme and myself decided to leave the track to ascend Carn Fiaclach. 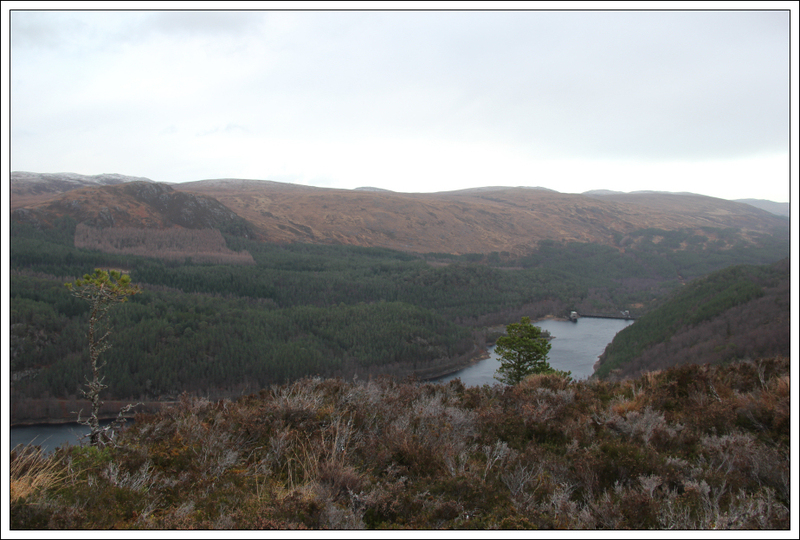 In hindsight, we should probably have started our ascent a few hundred metres further back in order to reach the North-East ridge. Our ascent was very steep and fairly unpleasant. 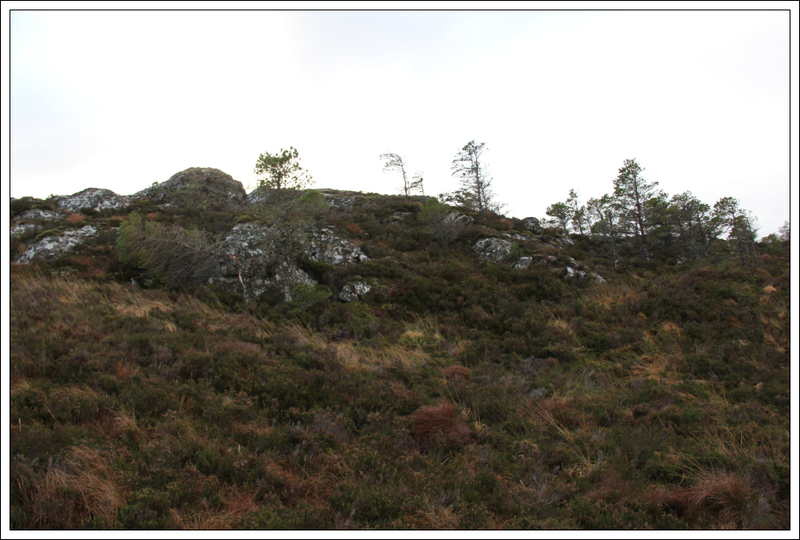 Numerous handfuls of heather and tree branches were used as climbing holds during the ascent. During the ascent we did shout down to others from our group asking if they were also coming up but no-one else ventured up. As we approached the final section of steep ground we had to negotiate a very short outcrop of rock before gaining much easier ground. On reaching the ridge we made our way East for a short distance to reach the summit. 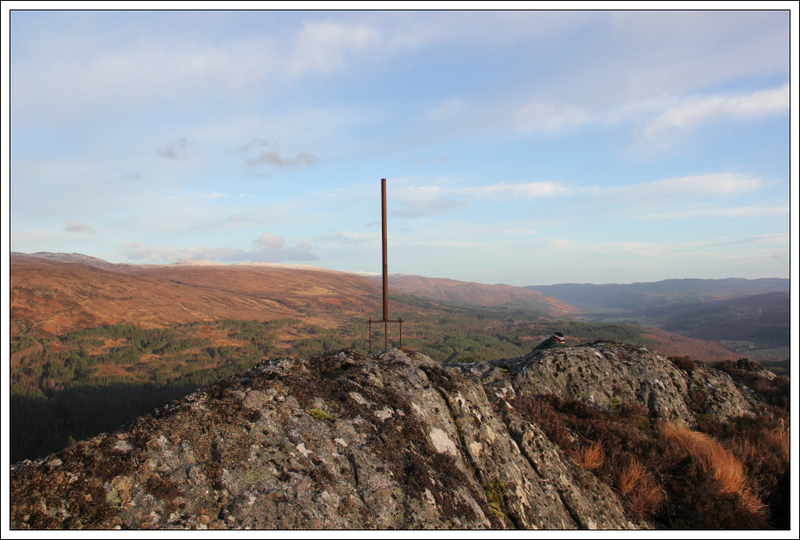 We visited both the rusty pole and the summit rock circa 10 metres away. 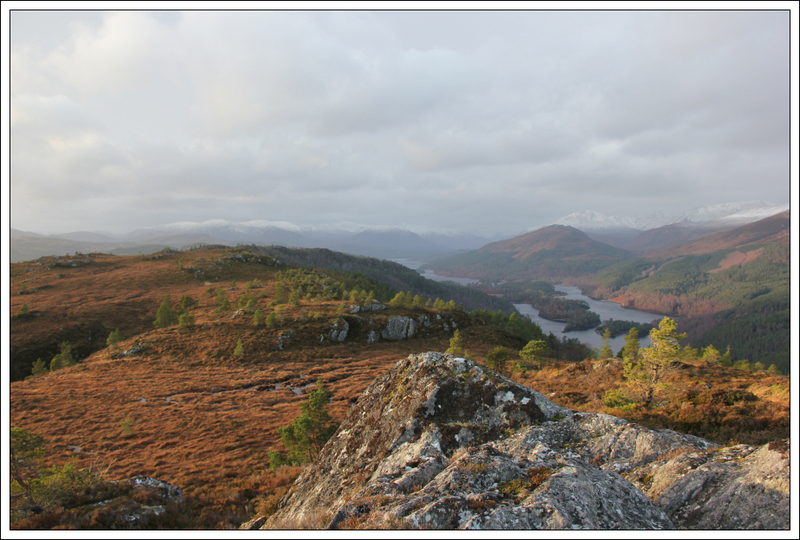 From the summit of Carn Fiaclach, we agreed to continue South-West along the ridge and then West down to through the trees to reach the forest track. 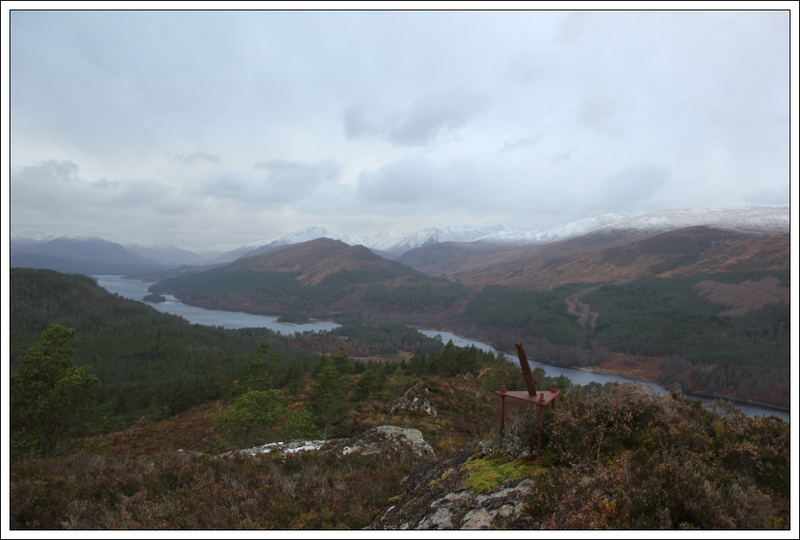 As we continued along the ridge we encountered the base of another pole likely used when surveying to build the dam. 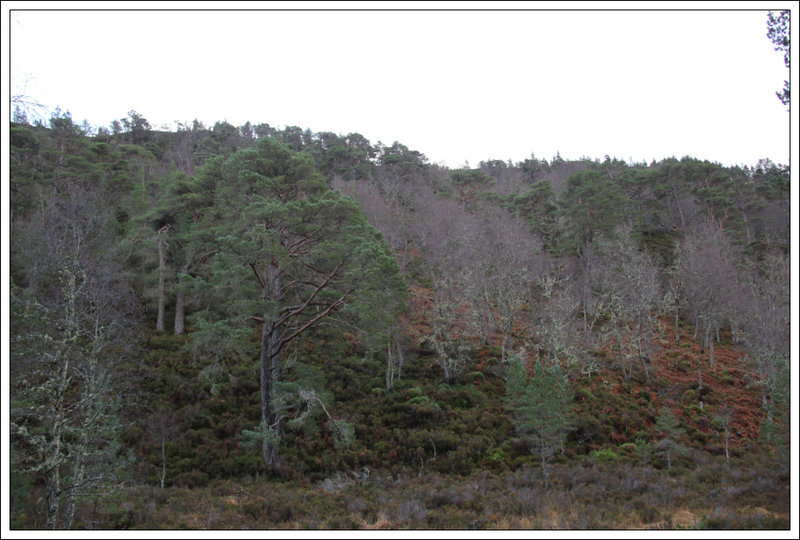 The descent was gentle and straight-forward and the forest easy to negotiate as the trees are well-spaced apart. 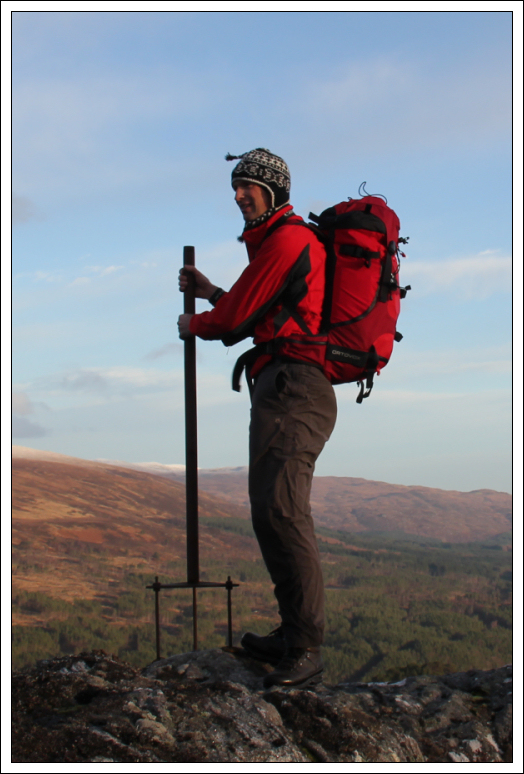 If you like an easy ascent this ridge is the way to go in ascent and descent. 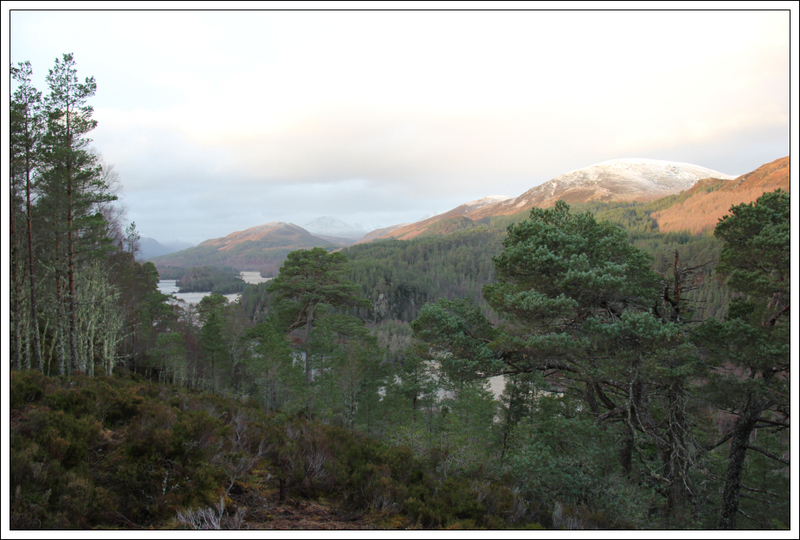 On reaching the forest track we continued along the length of Loch Beinn a’Mheadhoin before crossing the bridge at the end of the loch and walking back along the Glen Affric road, to the car park beyond the road end car park. I didn’t take any photos during the walk back along the track as the rain was incessant throughout this part of the walk. My camera went into the rucksack. 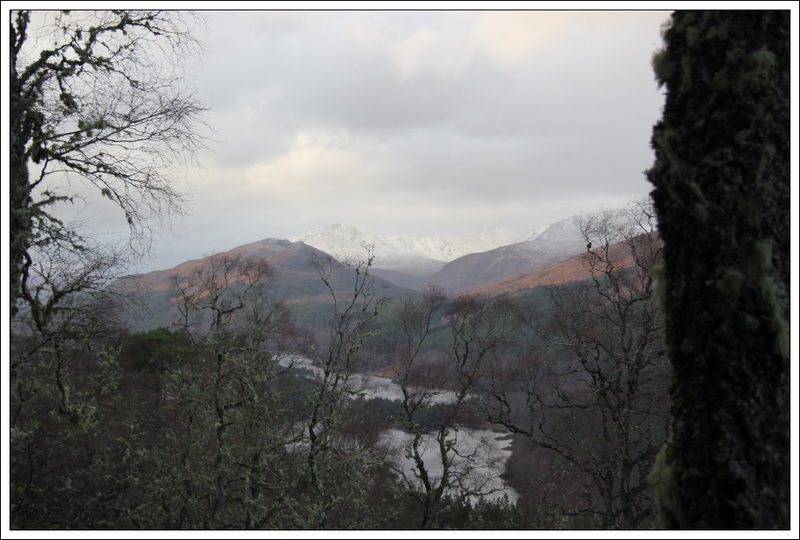 Once everyone was back on the bus we made our way from Glen Affric to Beauly for our Christmas Meal. 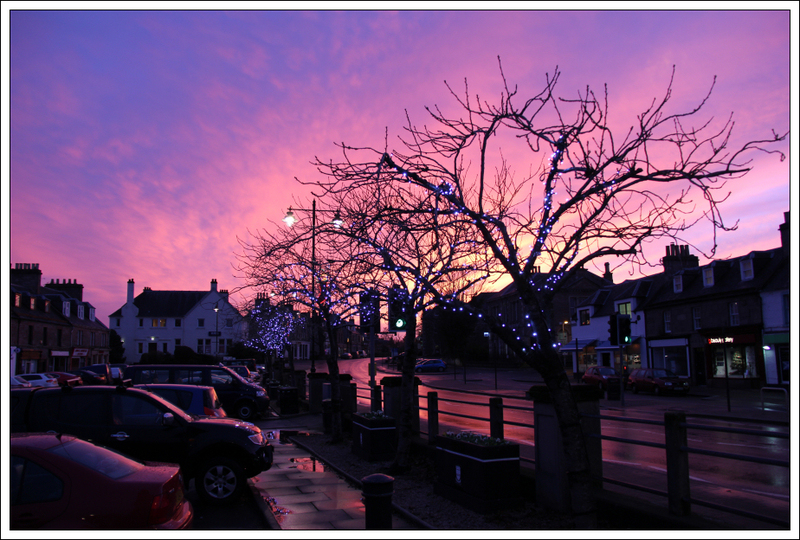 There was a lovely sunset in Beauly. 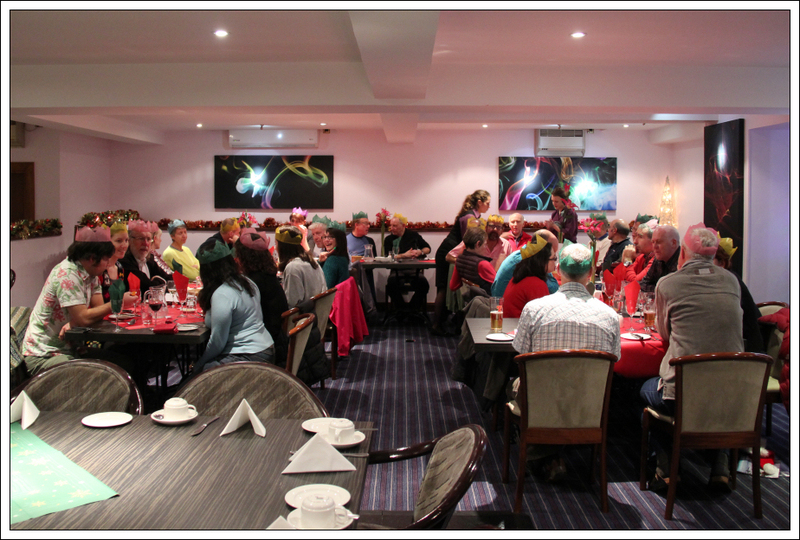 The Priory Hotel, for the second year running, provided us with excellent hospitality, delicious food and great service. A great time was had by all.